CleverToDo is a task management application. Manage your tasks efficiently. This To Do application is based on “Get Things Done” methodology created by David Allen. Slick and intuitive design allows you to focus on tasks. Simplify your daily life, reduce stress and stay productive. 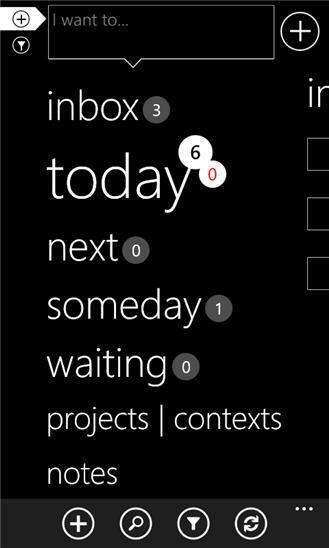 Task management is the most important application to have on your Windows Phone. CleverToDo is a must have application to stay productive in your everyday life. Try it for FREE and understand how it can help you to save time and money every day. Need more info try to visit our website http://www.clevertodo.net Please send questions and comments to: support@clever-software.net ver 4.5 Synchronization improvements New autosynchronization settings ver 4.3 Added support for wide live tile. Added support for transparent live tile. Sync bug fixes. ver 4.2 New live tile options. Pin projects, contexts or tags to phone start screen AppBar icons updates to be more sharp on large screens ver 4.1 Web synchronization performance and stability update. ver 4.0 UI and UX bug fixes Web synchronization update. ver 3.9 Calendar bug fix ver 3.8 Manual color selection for projects and contexts was created. New option to group by color for projects and contexts. Auto coloring option for projects and contexts was removed. Additional feature list: • Great Live Tile • Easy date/time selection • Reminders (Mango) • Repeating tasks (Mango) • Background agent for more reliable LiveTile update (Mango) • Grouping options (Mango) • Dropbox backup, Web backup • Notes Best for GTD! 4.5 Synchronization improvements New autosynchronization settings 4.4 General bug fixes and performance updates. New splashscreen 4.3 Added support for wide live tile. 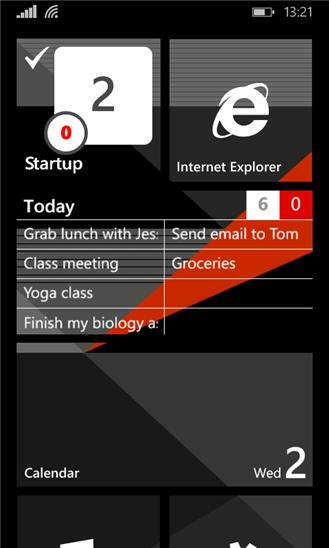 Added support for transparent live tile. Sync bug fixes.